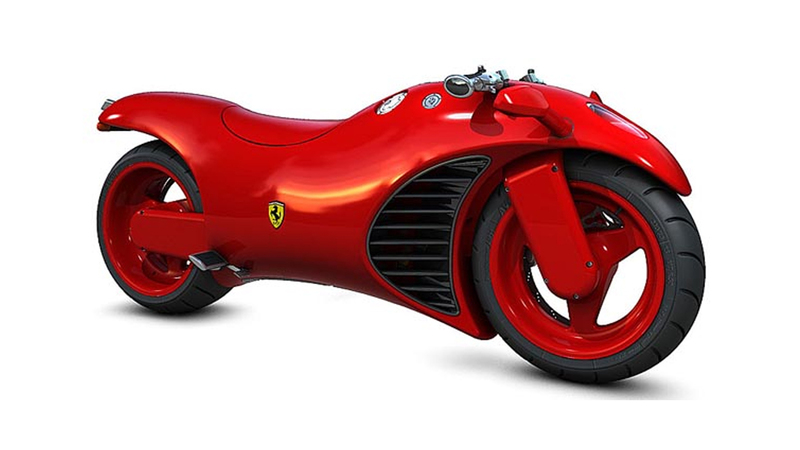 The new Ferrari V4 Concept Motorcycle was designed by Israeli industrial designer Amir Glinik. This beast of a bike is packed with a modified engine from a Ferrari Enzo, the hand controls from a F-16 Fighter Jet and the buttons from a F1 Race Car. While the styling of the Ferrari V4 motorcycle might be controversial to say the least, it certainly stands out from the crowd. And in part that’s what a Ferrari is supposed to do. The aesthetics of the Ferrari V4 motorbike have been influenced by both classic and modern Ferrari vehicles, but revised and repackaged into a motorcycle.